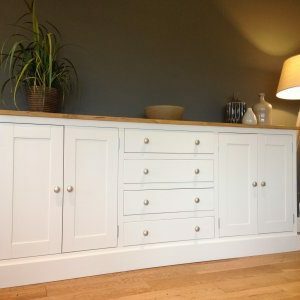 THIS BEAUTIFUL SIDEBOARD HAS BEEN PAINTED IN INCHYRA BLUE BY FARROW AND BALL AND IS SET OFF WITH A SOLID OAK WORKTOP AND ANTIQUE BRASS CUP HANDLES. 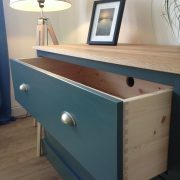 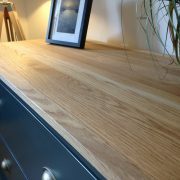 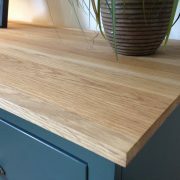 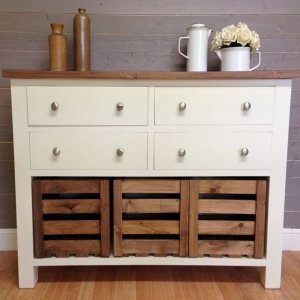 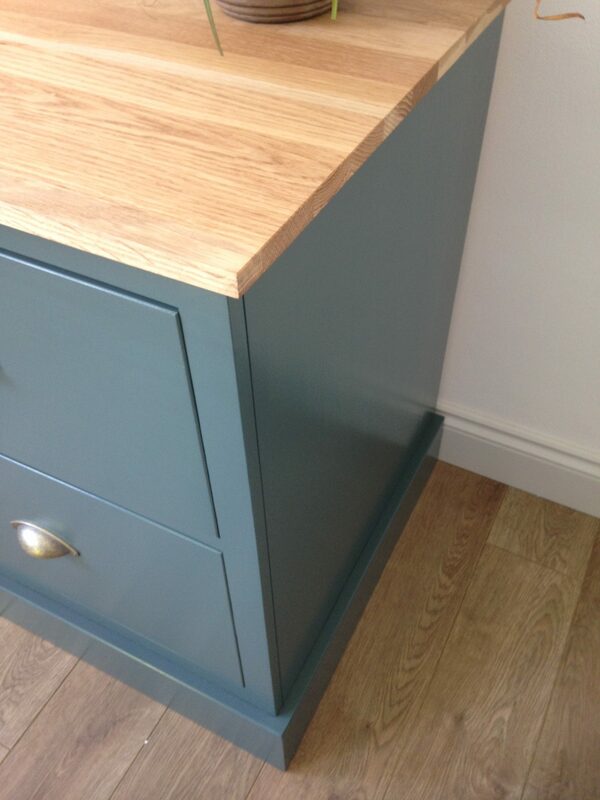 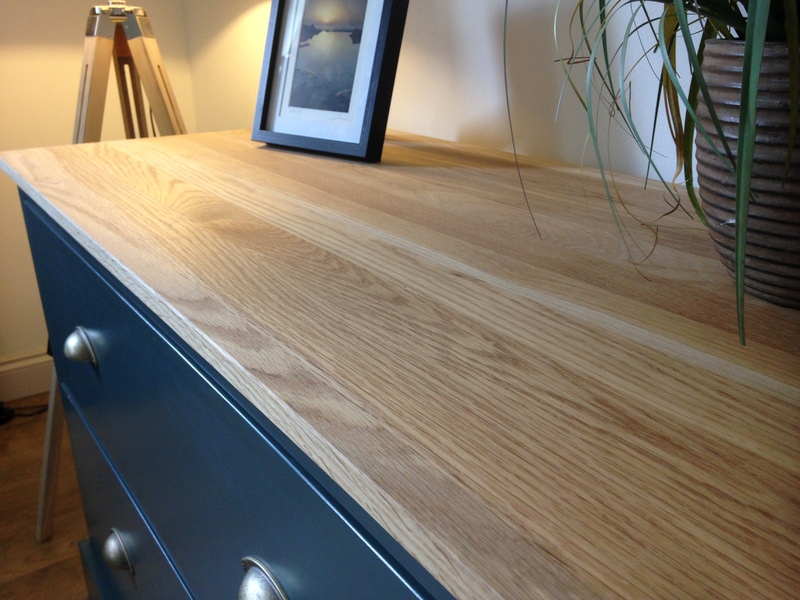 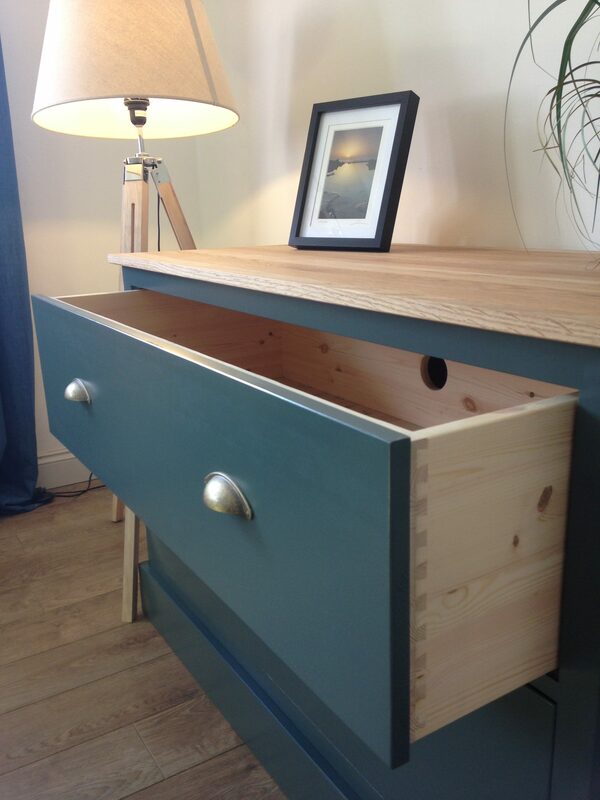 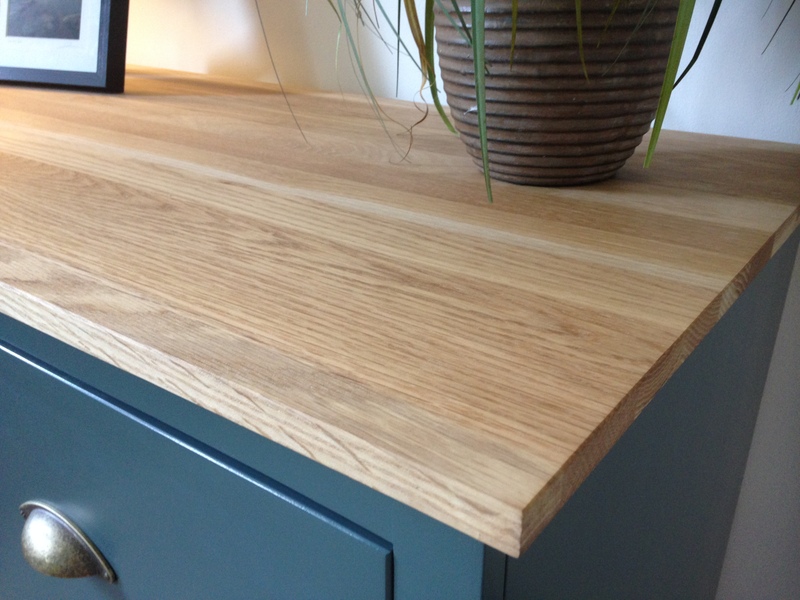 THE REST OF THE UNIT IS MADE OF SOLID PINE AND THE DRAWERS ALL HAVE DOVETAILED JOINTS MADE HERE IN THE UK. 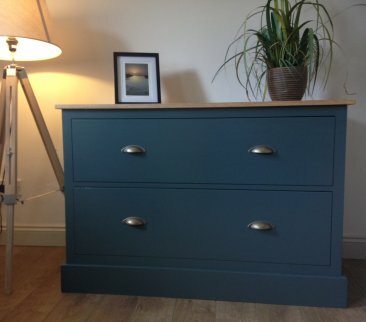 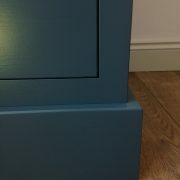 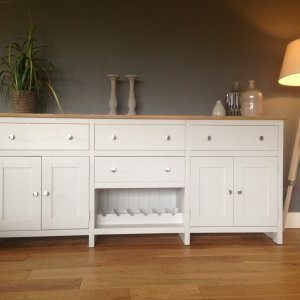 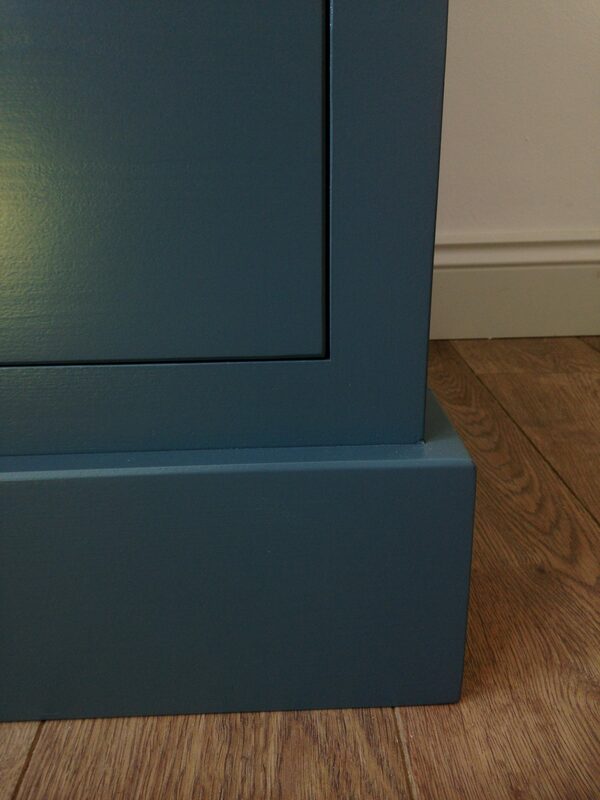 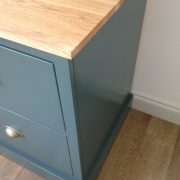 IT CAN BE PAINTED IN ANY FARROW AND BALL COLOUR OF YOUR CHOICE. 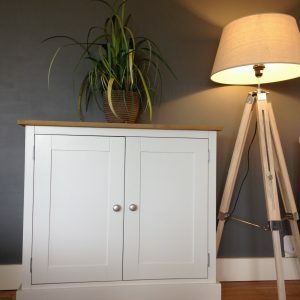 (ALSO AVAILABLE IN A 3FT VERSION).